Students show their support for environmental issues. 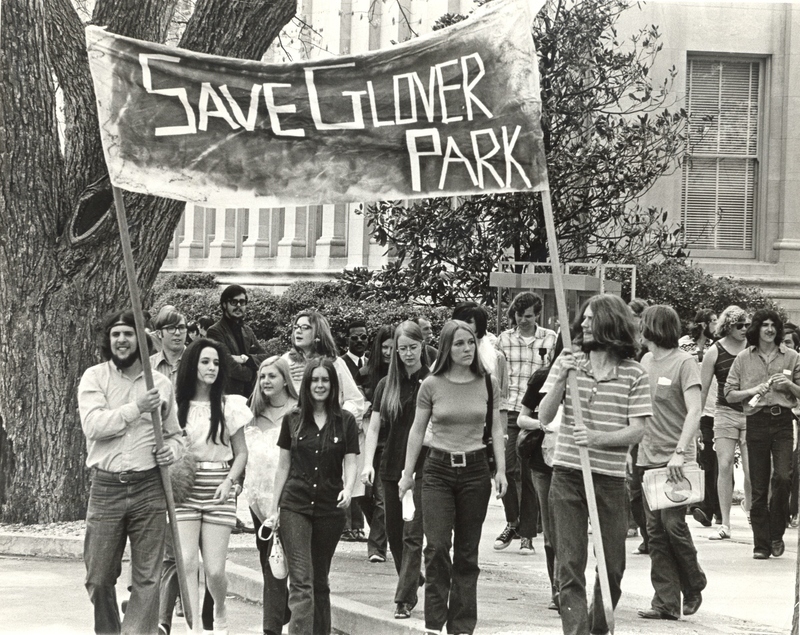 Shown is a protest led by students to save Glover Park from being turned into a shopping and apartment complex April 21, 1971. 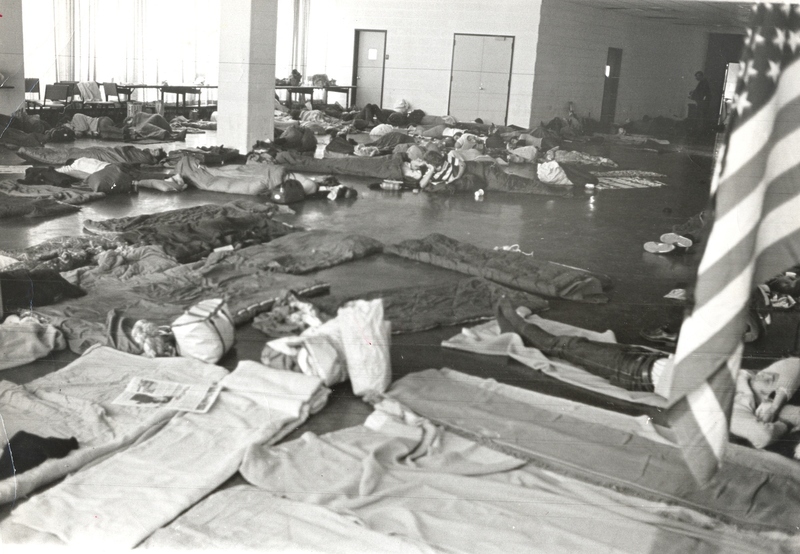 AU housed approximately 4,000 overnight guests for the November 1969 Moratorium to End the War in Vietnam. They stayed in Mary Graydon Center, Kay Spiritual Life Center, the New Lecture Hall, and several dormitories. 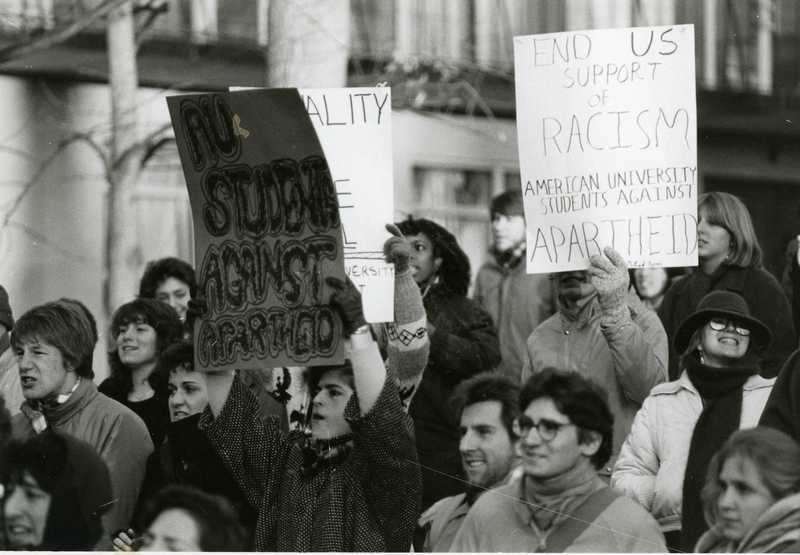 AU Students rally against the Apartheid in front of the South African Embassy.